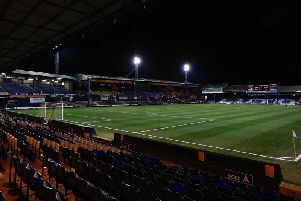 Luton Town’s players were left deflated after conceding a late, late equaliser at Cheltenham Town on Saturday, according to striker Elliot Lee. The forward, along with most at the ground, thought his goal with five minutes left was going to be enough for the three points to head back to Bedfordshire. We came here for three points, it could have been worse and the only thing we can do is pick ourselves up. However, William Boyle popped up to nod over the line after an assist from home keeper Scott Flinders up for a stoppage time corner needlessly conceded by Town stopper Marek Stech, as Luton paid the price for not taking their chances beforehand. Lee said: “It’s deflating, the boys have gone in there deflated. “You get games like that as a footballer, you get games it goes for you, some games it doesn’t. “I like to think that by bringing me on you get that clinical finish in front of goal and I think I did my job, but unfortunately we didn’t get the three points. On his goal, expertly finished from close range after Alan Sheehan’s free kick caused havoc, Lee continued: “Originally I wasn’t going to stand there and then Sheezy actually told me to get in the wall. “So I got in the wall and it’s hit the defender on the back, come out to me and just an open goal from there really. Although Luton were held to far too many 1-1 draws last season, which ended up derailing their plans for automatic promotion, Lee doesn’t think on reflection it will be that bad a result. He added: “I can’t speak for last season, I wasn’t here, but the boys, we’re willing to learn every day on the training pitch. “Listen it’s not a great result, but it’s not the end of the world. “We’ll pick ourselves up, go again next week and I think we all have every confidence in ourselves that it’s going to be a successful season. “It could have been worse and it could have been better, but although we won’t take the point, as we came here for three points, it could have been worse and the only thing we can do is pick ourselves up.